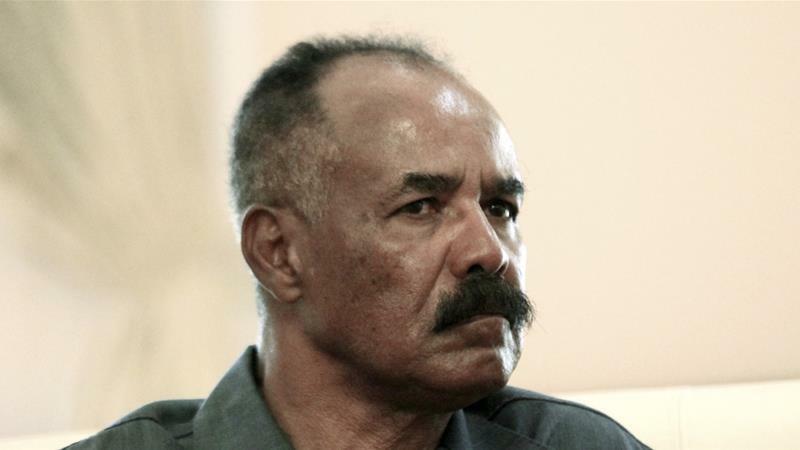 In barely the blink of an eye, Eritrea’s unpredictable president has completely reversed his rhetoric of the past two decades. Ethiopia’s PM Abiy Ahmed and Eritrea’s President Isaias Afewerki at an official dinner in Asmara. Credit: Yemane Gebremeskel, Minister of Information, Eritrea. In just a few weeks, relations between Ethiopia and Eritrea have not just shifted dramatically but – in many ways – turned upside down. For two decades, President Isaias Afwerki had demonised Ethiopia, seeing it as an existential threat. He used the supposed Ethiopian menace as a pretext to establish one of the world’s most repressive regimes, ban widespread freedoms, and impose indefinite military conscription. Some of the only bits of music to get official approval from Asmara were toxic war songs that reinforced this all-encompassing enmity on which the nation’s identity was based. Now, this could not have flipped more completely. In the past month, Ethiopia’s Prime Minister Abiy Ahmed and President Isaias have embraced warmly in both Asmara and Addis Ababa, greeted by huge doting crowds. Eritrean praise-singers have literally changed their tunes to praise peace in Amharic and Tigrinya. Today, the first flight between the two countries in 20 years landed in Asmara, carrying a fully-booked plane that included Ethiopia’s former Prime Minister Hailemariam Desalegn. In barely the blink of an eye, full-throated enmity seems to have turned into whole-hearted love – to the extent that hopeful Eritreans, whose lives have long been determined by the mood of one man, are starting to worry. The pace of rapprochement between Eritrea and Ethiopia, longtime foes who have been in deadlock for the last 20 years, changes quickly. It is hard to keep up. By the time this is published, it could be old news. Despite officially welcoming Ethiopia’s peace efforts, the Eritrean regime is keeping its people in the dark. 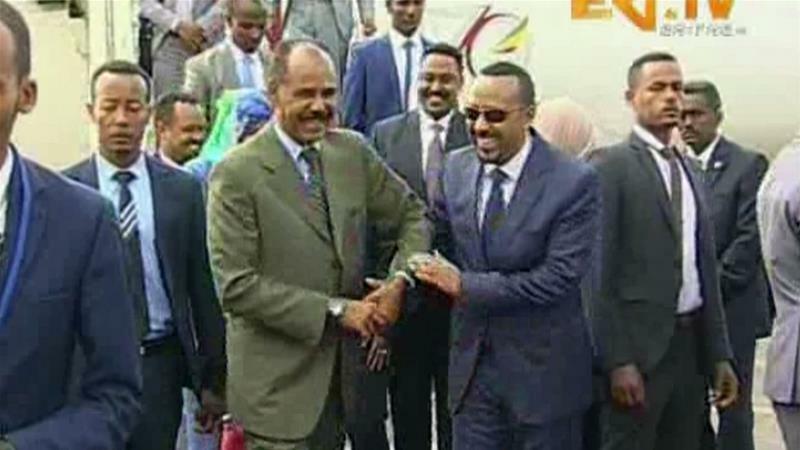 Ever since Ethiopia announced in early June that it will fully accept the terms of a 2000 peace agreement with neighbouring Eritrea, the pace of normalisation of relations between the two countries has been truly stunning. First, a high-level Eritrean delegation made a visit to Addis Ababa on June 26 and kickstarted the talks on ending the decades-long conflict. Only a couple of weeks later, Ethiopia’s reformist new Prime Minister Abiy Ahmed made a landmark visit to Asmara and met the Eritrean president face-to-face. As the convoy carrying Abiy and Eritrean President Isaias Afwerki – who personally greeted his guest at the Asmara airport – travelled across the city, people waved the twinned flags of Ethiopiaand Eritrea and threw flowers and corn. Portraits of Abiy and large Ethiopian flags could be seen on public buildings around the city. Despite all the difficulties, Eritreans and Ethiopians are hopeful that lasting peace will be concluded soon. 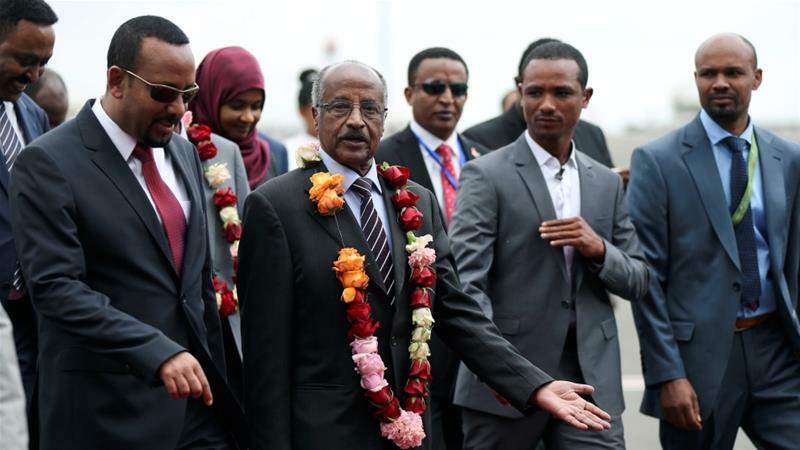 On June 26, a high-level Eritrean delegation led by Foreign Minister Osman Saleh arrived in the Ethiopian capital, Addis Ababa, for talks on ending the decades-long conflict between the two countries. Earlier this month, Ethiopia’s new prime minister, Abiy Ahmed, had extended an olive branch to his country’s longtime enemy by stating that Ethiopia is finally ready to fully accept and implement the terms of an 18-year-old peace agreement between the two countries. 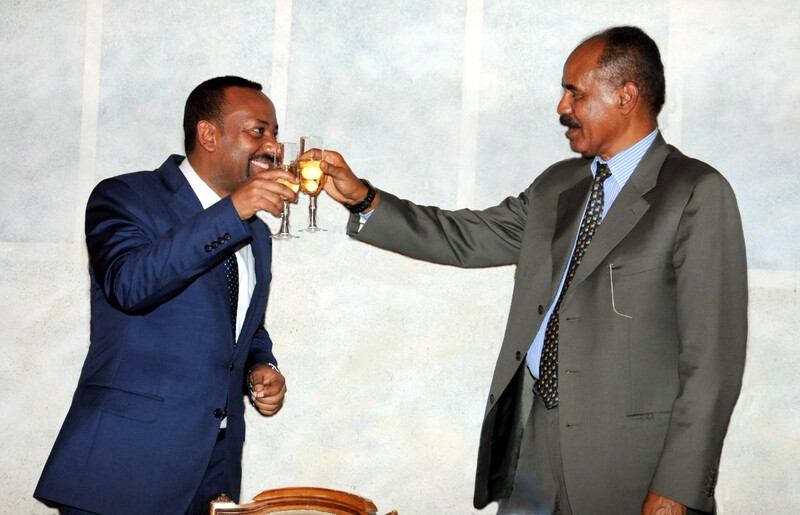 Last week, Eritrean President Isaias Afwerki acknowledged his Ethiopian counterpart’s peace offer. 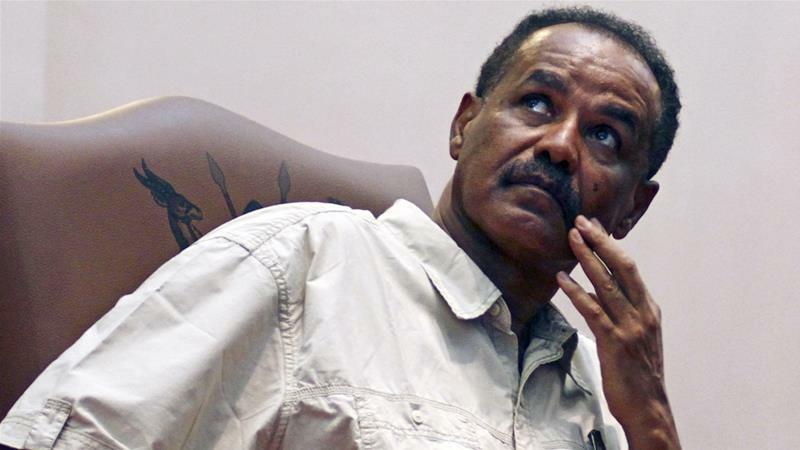 Eritrea’s President Isaias Afwerki cannot afford to ignore Ethiopia’s peace offer. On June 5, Ethiopia announced it would fully accept and implement the 2000 Algiers Peace Accord that ended its border war with Eritrea. It also said it would accept a 2002 ruling by the UN-backed Eritrea-Ethiopia Boundary Commission (EEBC), which awarded several disputed territories, including the town of Badme, to Eritrea. Ethiopia had been ignoring the commission’s ruling and refusing to withdraw its troops from these territories for the past 16 years, making the demarcation of the border practically impossible. Anyone who follows Eritrean politics closely, knows that Eritrean state officials are not in the business of offering empirical proof. Instead, they use a well-worn script. Full of long-winded jargon, it functions as a systematic diversion from meaningful conversation. Even if they agree to share details, it is hard to trust their self-reported facts typically collected through dubious mechanisms. As a result, the international community resorts to recycling dated facts about Eritrea. For example, the casual mention of an estimated 5,000 Eritreans fleeing the country each month is standard fare, though it is up for debate. Or the fact that Eritrea has an estimated of 10,000 political prisoners. Recycling old images and tired ideas is also at the heart of what Eritrean state media does. Unless covering President Isaias Afwerki (since 1993), the state media continuously re-use the footage and stories of the 30-year old independence war. Flimsy development projects are disproportionately hyped. Newsworthy events are routinely ignored unless they get out control, and then the Minister of Information only responds in a tweet.The Eritrean government attempts to control its narrative in two ways: outright denial and widespread policing, which promotes fear and extends to the diaspora. Whether in the news media or asylum offices of the West, the Eritrean narrative has been reduced to the bare minimum. Here I want to challenge this stale narrative by using personal testimonies and small incidents that paint a clearer and more detailed picture of life in Eritrea. Personal testimonies make the elites nervous and agitated. Recounting small incidents is like taking snapshots from different angles. And as the viewer and reader, I rely on you to interpret and to create a coherent narrative. In mid-February 2018, rapper Nipsey Hussle released his first studio album, Victory Lap, a paean to his complicated relationship with Los Angeles gang life. While making the rounds on American hip hop radio stations and podcasts, if he wasn’t breaking down gang codes or marketing his various businesses, Nipsey kept returning to his roots beyond his South Central, Los Angeles neighborhood: that of his Eritrean immigrant background. Ermias Asghedom’s father had fled the ongoing war and settled in US. By celebrating his father’s background (his mother is African-American), Nipsey was partly reflecting what Boima Tucker described elsewhere on this site as “a resurgence of an unbridled enthusiasm for Africa in black America.” In recent times, American artists of African immigrant background have openly made connections to their parents’ homelands public and explicit. Issa Rae has done so on television, Lupita Nyong’o, Danai Gurira and Daniel Kaluuya on film and Wale and French Montana have done so in music. The comedian Tiffany Haddish, another LA native, also has recently foregrounded her Eritrean background. Haddish recently traveled to Eritrea then wore a traditional outfit to the The Oscars. It is obvious that Haddish’s new found connection to Eritrea, has added to her confidence as a public figure. This is in contrast to a generation ago when the children of African immigrants to the US downplayed their family connections in fear of attracting ridicule. In 2004, when he turned 18, Nipsey traveled with his father and brother, Samiel “Black Sam” Asghedom, to Asmara, the Eritrean capital and stayed three months. This trip would have a profound influence on him. Beyond just a celebration of his African heritage, it would become part of his personal mythology. It appears as inspiration for his brand of capitalism. እዚ ነብሲኻ ምዕሻው… ኣቤት ክጥዕም! March 19, 2018 by Abraham T. Zere·Comments Off on እዚ ነብሲኻ ምዕሻው… ኣቤት ክጥዕም!